Lighting in the workplace is both an aesthetic consideration as well as one that includes the wellbeing, motivation and performance of the individual. For the professional gemologist, or gem and jewelry trader, lighting is of the utmost importance. 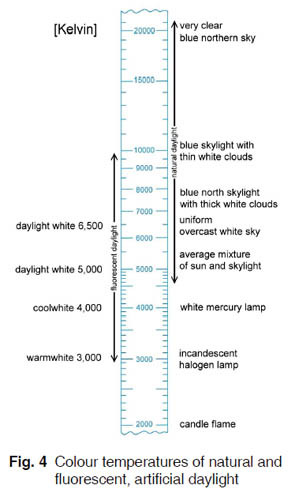 When using fluorescent lamps in the workplace, the rendition of all spectral colors when compared to natural daylight—preferred by many gemstone traders—is only sufficient with a Color Rendering Index (CRI) of +90. As a consequence, gem and jewelry professionals should choose a lamp specification consisting of high power (Watt), specific color temperature (Kelvin) and excellent Color Rendering Index. Although the eyes of gemologists become more experienced the older they are, lighting for the gemologist is of great importance since vision acuity also gradually decreases with age. The older gemologist needs increasingly more light for the evaluation of gemstones, and their eyes are more likely to become irritated by glare. Working with gems and jewelry involves handling very small-sized specimens and discerning the features of the smallest structures. The color of light and the color ofthe objects are of crucial importance during the evaluation process. The necessity arises to adapt the amount of illumination to the respective task. See Fig. 1. 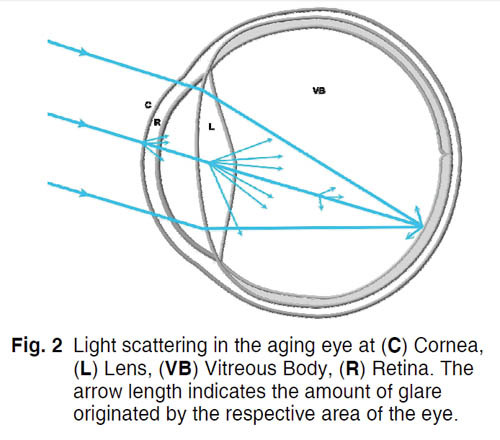 As we get older, the transparency of the eye lens decreases due to metabolic deposits. The light scattering at opaque lens parts, especially with bluish light, leads to hypersensitivity to glare and is perceived as annoying or irritating. See Fig. 2. 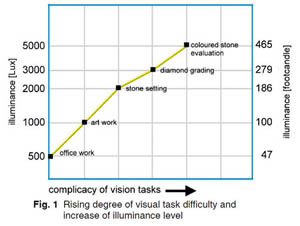 After the age of 50, one needs approximately 50% more light intensity to perform the same task as a 25-year-old. Fig. 3 demonstrates the amount of luminance needed in relation to age. Much of the work for the gemologist is quite tedious as it may require many hours in front of a microscope and other light sources. Lighting in these instances is essential to performance and prevention of worker fatigue. The time of day, hours worked, and the age of the person doing the work are all factors to be taken into consideration. It is now possible to find light sources that are more powerful and outfitted with a dimming feature to allow for individual adjustment throughout the day as needed, and can reduce glare. System Eickhorst began developing lighting and gemological products more than 40 years ago. 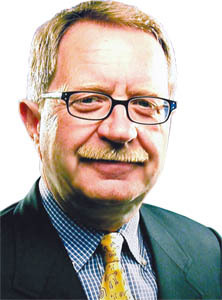 Company founder Manfred Eickhorst has spent time conducting lighting experiments in offices of gemologists and gemstone and jewelry traders around the world. It is through these visits that Eickhorst has developed products specifically designed to meet the needs of the gem and jewelry professional. One Eickhorst product that is exceptionally suited for the professional gemologist is the VARIOFOC. 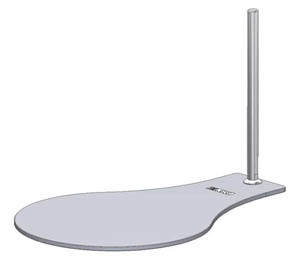 It provides incident lighting on an adjustable pillar. The two flexible 450-mm swan-neck arms are attached at a pillar and can be adjusted to the desired height. A variety of mountings for the pillar are available, including for use with the microscope as seen with the footplate shown here. The VARIOFOC has two 3-watt dimmable plug-in LEDs, each with its own focus and color of light: 6,000-Kelvin daylight white and 4,000-Kelvin neutral light. The choices of plug-in LEDs are suitable for every type of task. 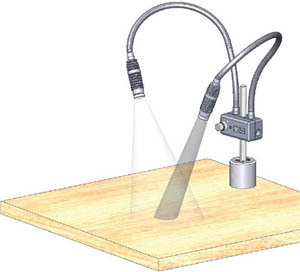 The VARIOFOC is an excellent companion for older microscopes, as it is possible to increase luminance and provide accurate color temperature at the microscope. See Fig. 4. The dimming feature is ideal for older and tired eyes. For more information, visit the Eickhorst website at www.eickhorst.com, or email info@eickhorst.com. Barbara Wheat is CEO of Gemalytics LLC based in New York City. She can be reached at barbara@gemalytics.com.